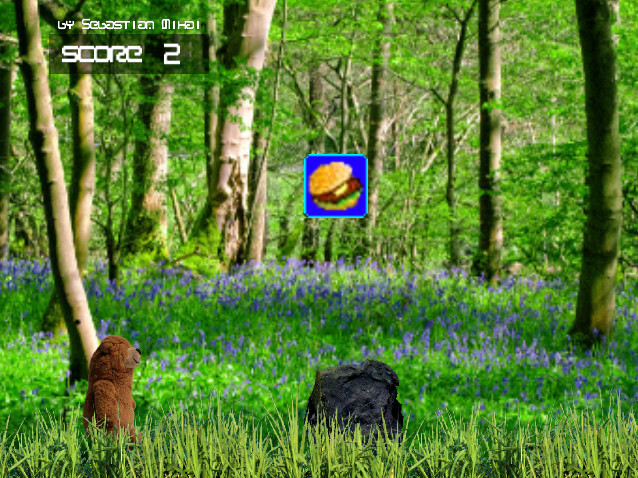 Overbearing Burgers is a Sega Dreamcast homebrew game featuring a hungry brown bear. The bear must jump at the right time to not only not hit the rocks on the ground, but also to not miss any of the hamburgers. Overbearing Burgers is very easy to play; the only button used is A, which will make the bear jump. I used the demo version of DiscJuggler 6 (download link above). I'm sure it would work with other programs, such as Alcohol 120%. After setting the burning speed to 1x (which is imposed by the demo version of DiscJuggler anyway), I clicked Start and shortly after the CD was done. 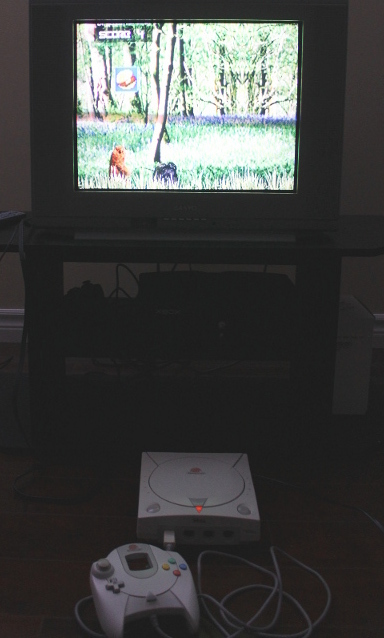 The CD worked on a regular Dreamcast console without any issues. From the links above, download both the SDK, and dc_extra_tools.zip. Mount dreamcast gcc sdk DDEr4.cdi using Daemon Tools Lite, or burn it to an actual CD. This SDK will first install Cygwin, and then the Dreamcast toolchain. Follow the installation steps. While installing, I chose not to source environ.sh, meaning that I chose to manually run environ.sh to get the environment variables for the SDK to be set. Eventually, I decided to add it myself to my user's .bashrc file (see how below). Once the installation completes, unzip dc_extra_tools.zip to c:\cygwin\bin. This should include the four files: mkisofs.exe, cdi4dc.exe, scramble.exe, makeip.exe. This sets all necessary environment variables whenever you start up Cygwin. The .cdi file can also be burned to a CD-R and played on real hardware (see the Burning section above). Note: the file overbearing/ip.txt contains game header information, such as developer, title, etc., which you can modify to include your own name and your project's name.